Now that IM Hawaii is over, there are only a few races left in the 2011 season. 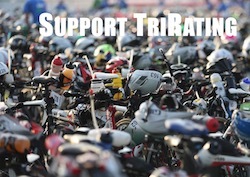 They already count towards Kona 2012, so there are a few athletes that try to ride their Kona fitness and get into a good position to qualify. As I did for Kona, I will focus on the race favorites and their chances of winning the race. IM Florida is one of the faster courses on the calendar – by all descriptions I heard a very flat course that requires you to push all the time and offers very little variety. It has a course rating of 12:57, so some fast times can be expected. Last year’s race was won by James Cunnama in 8:15 and Jessica Jacobs in 9:07. On the KPR side, Florida is on the lowest level of races – just 1.000 points for the winner and 25.000 US $ total price purse (paying 6 deep). Therefore, it is probably not the best race in order to get points to qualify for Kona. There are quite a lot of athletes with a rating pretty close to 9 hours, so even if the race for the win may not be too exciting (assuming Dirk has recovered from his 4th place race in Kona), the fight for KPR points and the price money looks quite close. Dirk Bockel probably just looks to tick off the requirement of having raced an Ironman outside of Kona, his forth spot has already given him 4.450 points and that should be enough for a TOP 50 spot in the final KPR rankings. There are seven pro women on the start list, so finishing the race almost guarantees a payday – even if 500$ for 6th place hardly covers the cost of flying out to Florida.